I was delighted to attend recent North Down Citizens Advice Bureau Annual General Meeting late 2013. 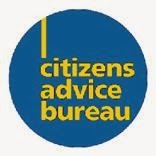 As Mayor of North Down seeking to develop an inclusive society for everyone I greatly appreciate work of North Down Citizens Advice Bureau who seek to reach out and support people pushed to the edge of society, Working as One with others to overcome challenges encountered by individuals across the Borough. I am particularly concerned about the negative effects of Welfare Reform and will do all I can to ensure CAB are given appropriate support to deal with harmful impact on local people when the changes eventually come into effect.